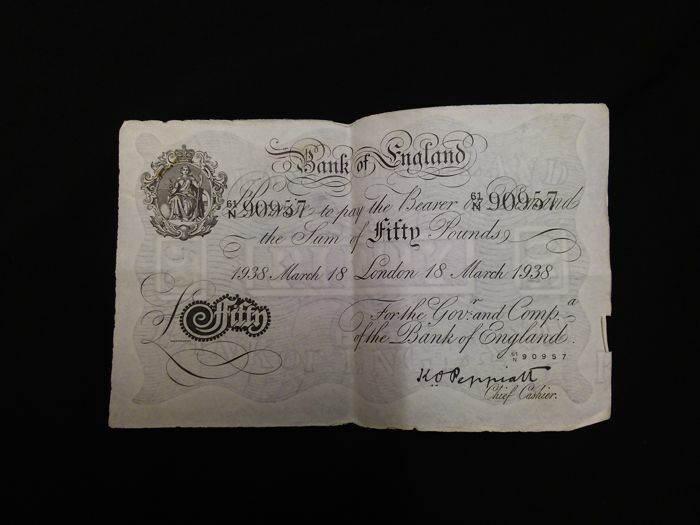 Operation Bernhard Forgeries no. 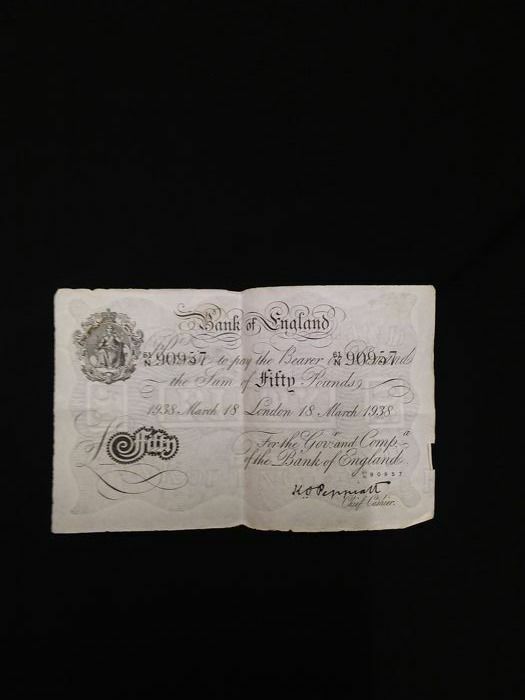 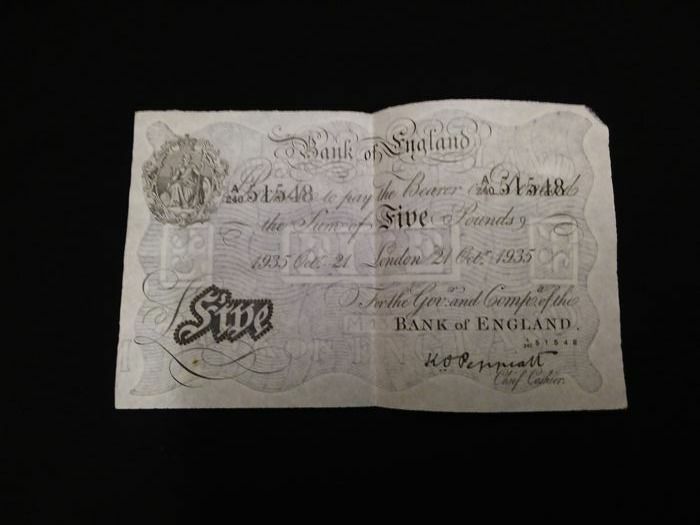 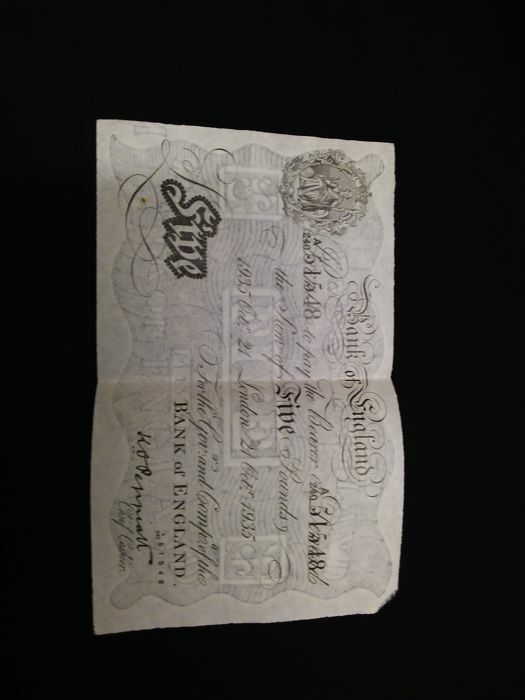 1 banknote of 50 pounds from 1938 and no. 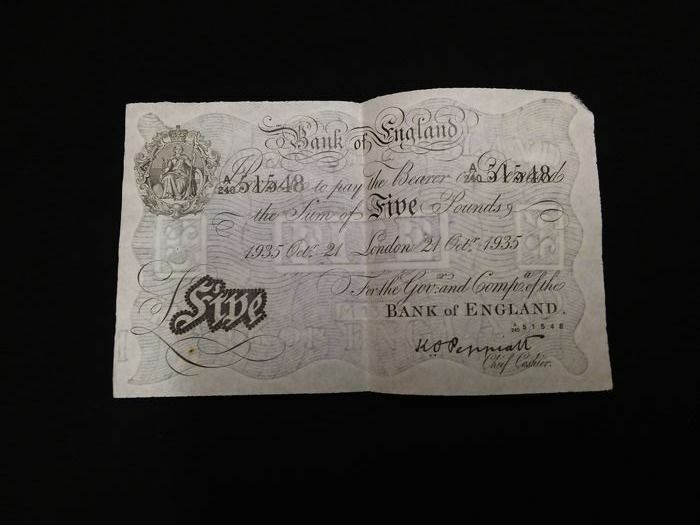 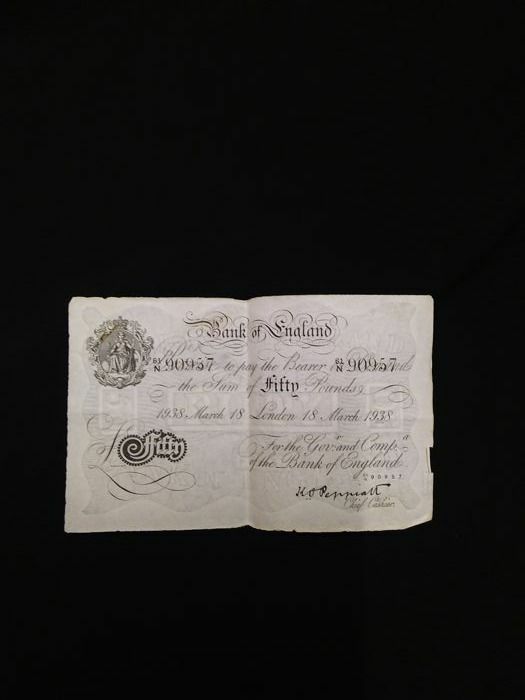 1 banknote of 5 pounds from 1935. 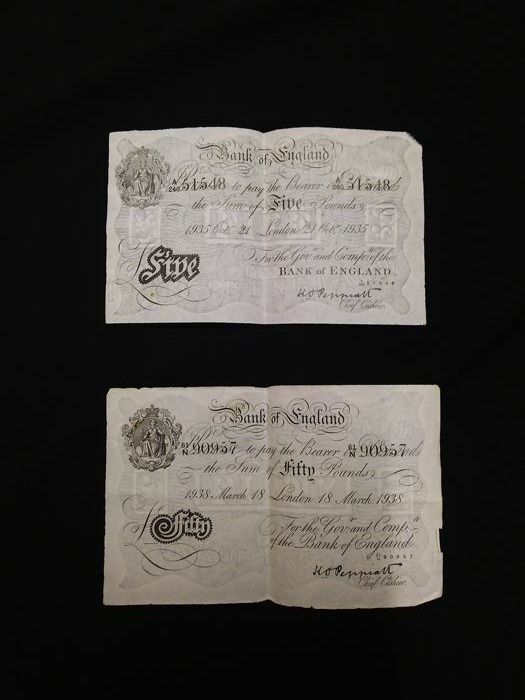 Their serial numbers are 90957 and 51548.